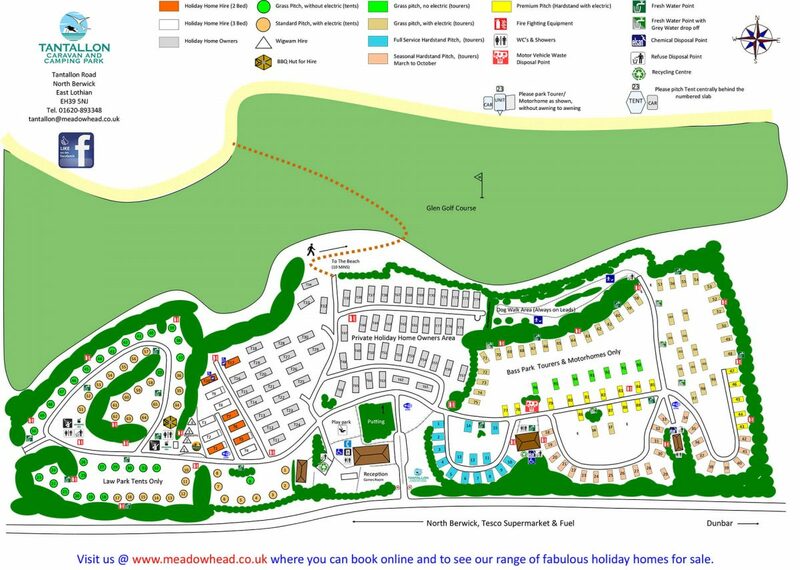 We look forward to welcoming you to Tantallon Caravan Park in person. 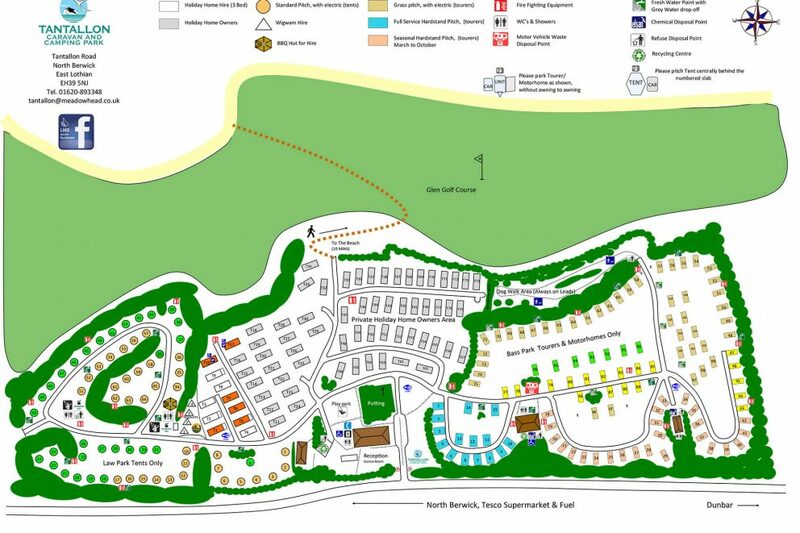 We would be extremely grateful if you could take the time to download a copy of the map so that you can familiarise yourself with where you will be staying and our facilities before you head off. Our guests do find this to be a useful thing to do. On the A198 immediately east of North Berwick. From Gullane take the A198 through North Berwick towards Dunbar. From the A1 turn on to the A198 three miles West of Dunbar. Tantallon is a 10 minute bus journey from North Berwick Rail Station.